Posted October 8, 2018 by Reed & Associates & filed under Articles. Let’s kick this off with a few questions. 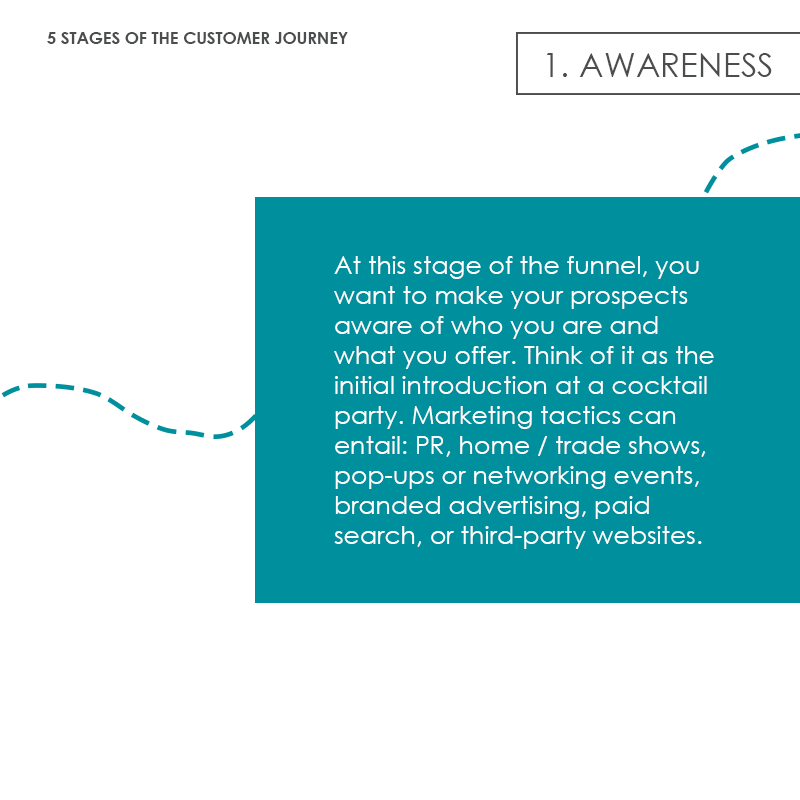 Does your business follow a set customer journey or sales funnel? Do you know where your leads are coming from, where you might be losing customers, or how to better serve them throughout your process? If you answered ‘no’ to most of the above, don’t fret just yet. We have something that can help! 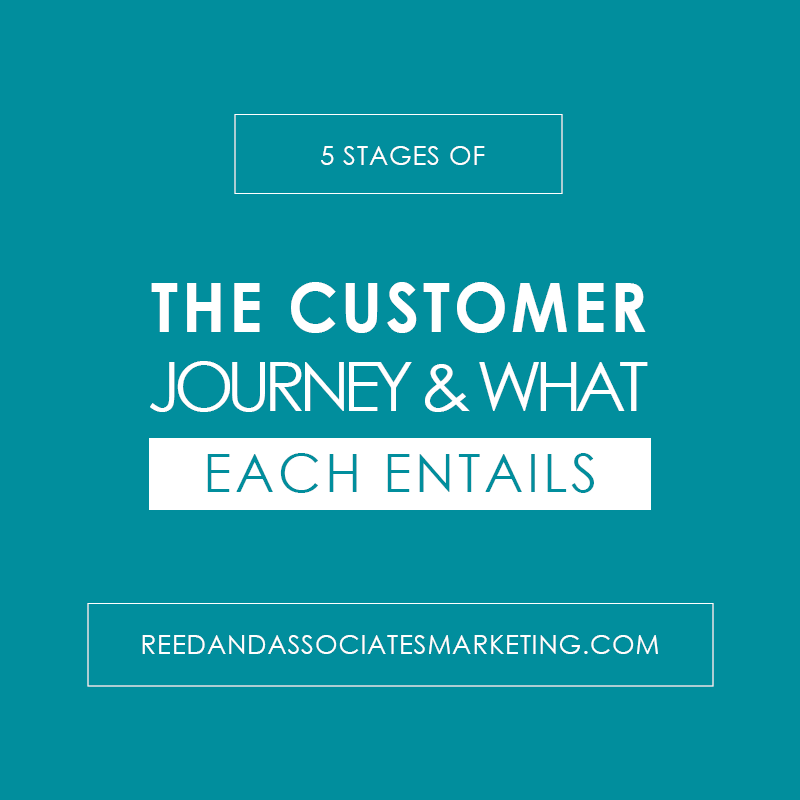 Known simply as “The Customer Journey”, this concept is something we outline for all of our clients. It ensures we meet their prospects where they’re at and continue moving them through a sales cycle, while always delivering a high-quality customer experience. Today, we’re sharing a standard customer journey with you and have outlined it to fit most businesses below. At this stage of the funnel, you want to make your prospects aware of who you are and what you offer. Think of it as the initial introduction at a cocktail party. Marketing tactics can entail: PR, home / trade shows, pop-ups or networking events, branded advertising, paid search, or third-party websites. In this second stage, your goal is to start differentiating yourself. What makes your product or service better? What value can you offer that makes your prospect more confident in buying from you? 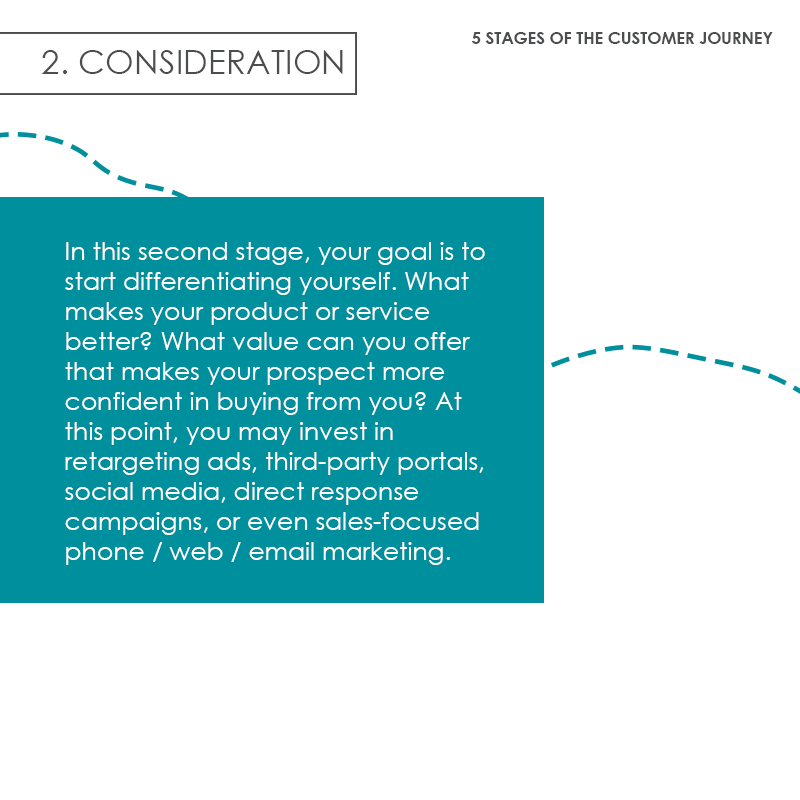 At this point, you may invest in retargeting ads, third-party portals, social media, direct response campaigns, or even sales-focused phone / web / email marketing. 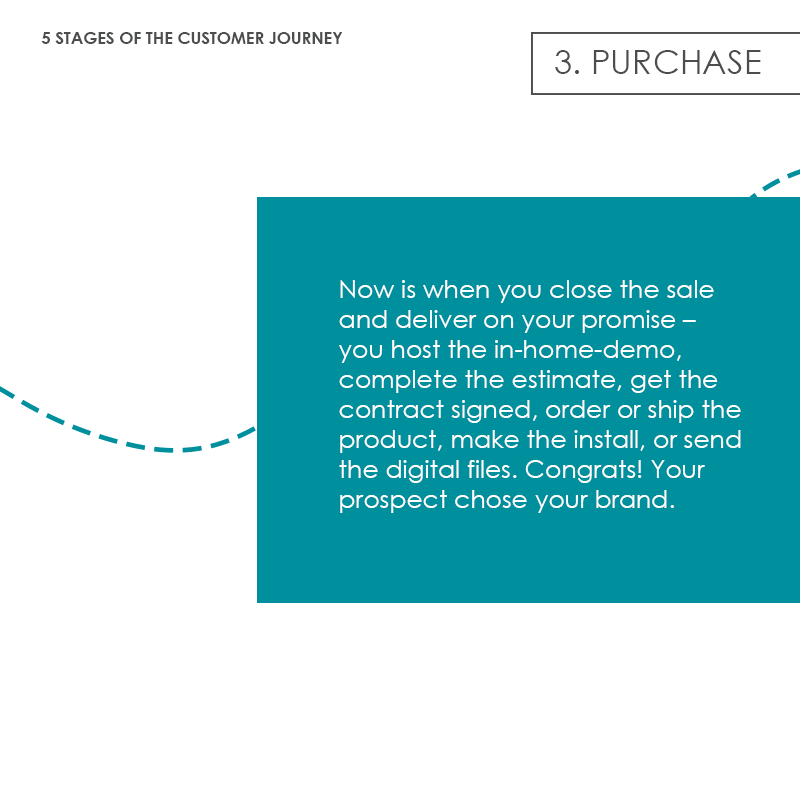 Now is when you close the sale and deliver on your promise – you host the in-home-demo, complete the estimate, get the contract signed, order or ship the product, make the install, or send the digital files. Congrats! Your prospect chose your brand. 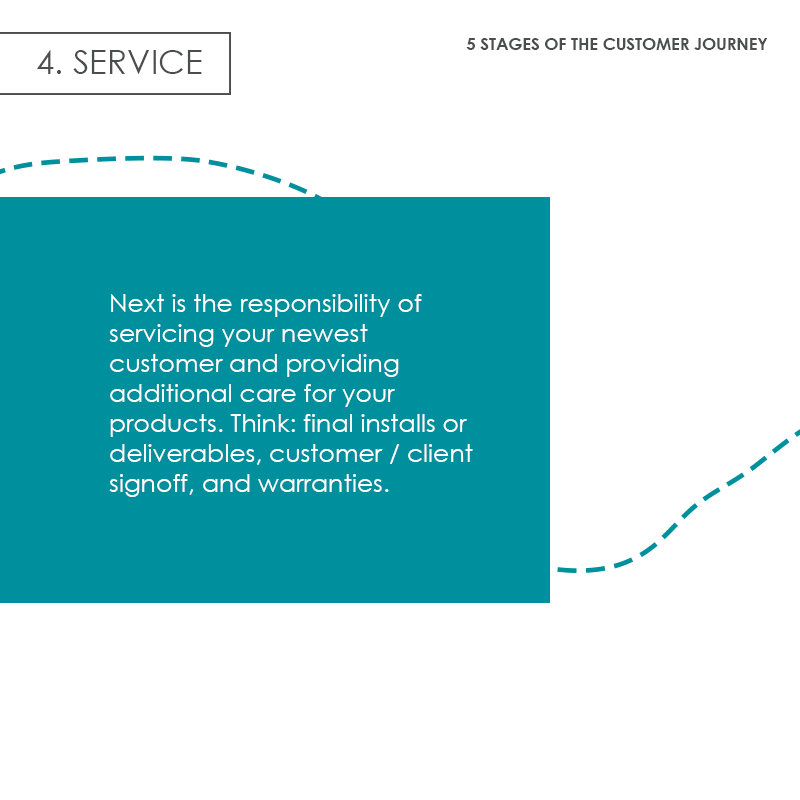 Next is the responsibility of servicing your newest customer and providing additional care for your products. Think: the final installs or deliverables, customer / client signoff, and warranties. 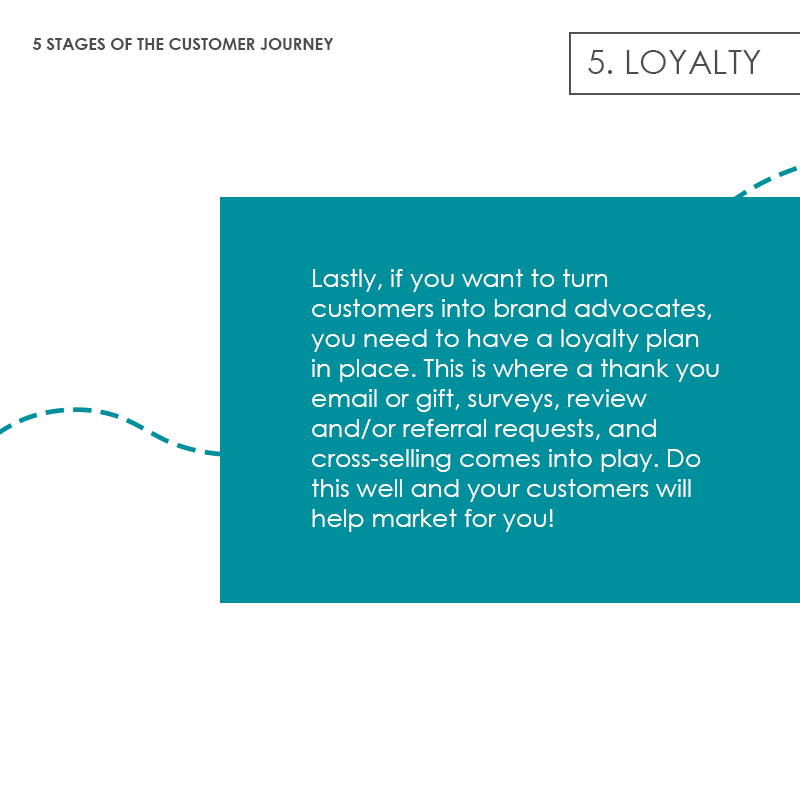 Lastly, if you want to turn customers into brand advocates, you need to have a loyalty plan in place. This is where a thank you email or gift, surveys, review and/or referral requests, and cross-selling comes into play. Do this well and your customers will help market for you! 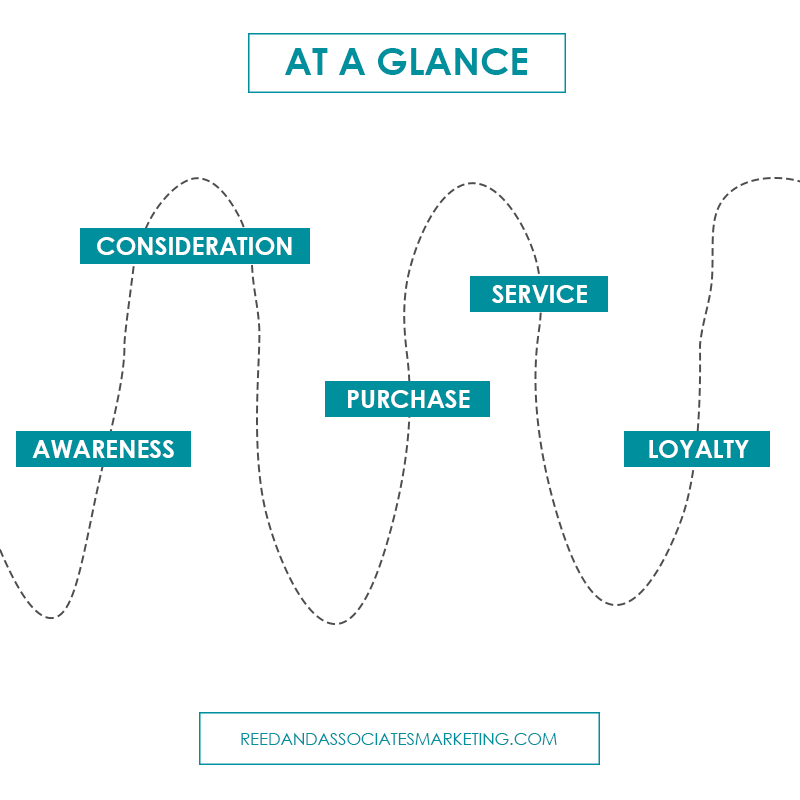 Rather than relying on a specific product or service, we look at the entire customer journey. By knowing your audience, at every stage of the sales funnel, we’re able help our clients identify opportunities, determine what’s working, and even call out what isn’t. From building local brand awareness and brand equity to running direct response campaigns, we’re relentless about moving potential buyers through this customer journey and ultimately, creating an easy sale, whether you have a sales team in place or rely on other, digital means like a landing page or e-commerce. Moral of the story: Don’t get stuck in one stage. Big results require big picture thinking. Find out what a performance-based partner like R&A can do for you! Get in touch and discover more about your own customer journey HERE.